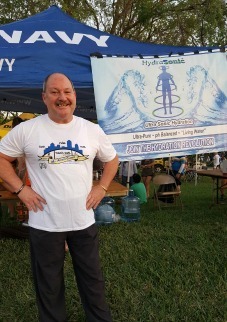 Aqua Novo LLC from 2014 until 2018 conducted private testing of a new advanced water processing technology developed by Commit to be Fit Inc. This new proprietary water processing technology creates super-pure, pH balanced, ultra-hydrating crystalline water with a unique set of permanent properties. Just like in nature, allowing deep cellular intake through the aquaporin channels, the floodgates to human hydration*. In our opinion the development of HydraSonic™ water will challenge the elite in the bottled water industry! Starting in January of 2019, Commit to be Fit Inc. will continue to test this new natural based proprietary water processing technology for commercial and industrial applications. Once in production, HydraSonic™ water is expected become the purist, most refreshing and extremely hydrating bottled water ever developed! 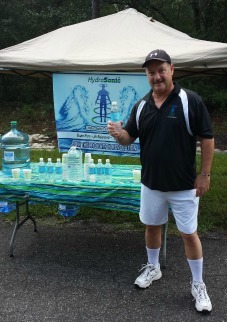 From 2013 until 2018, Aqua Novo LLC donated on behalf of Commit to be Fit Inc. the prototype of HydraSonic™ water to non-profit organizations that raise money for their causes through sporting events here in the Northeast Florida area. 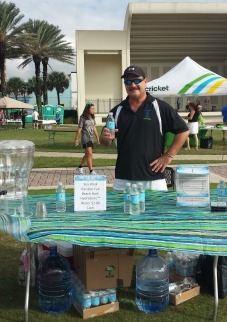 We are thankful for all the positive feedback we received from the many athletes who consumed HydraSonic™ water before, during and after these events. The main difference between HydraSonic™ bottled water and most all other types of water is when you drink HydraSonic™ water. Those who have tested HydraSonic™ water state that the water is very smooth and soft when they drink it and they notice that it doesn’t bloat or slosh around in their stomach. In addition, athletes are reporting that they don’t experience any cramping during a sporting event while they are competing! Once you put some on your hands or face…it absorbs incredibly fast and leaves your skin extremely soft and moisturized! 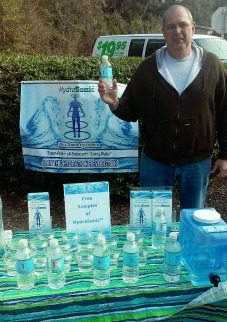 HydraSonic™ bottled water is being engineered and optimized for cellular absorption*. * These statements have not been evaluated by the Food and Drug Administration. This product is not intended to treat, cure, or prevent any disease. HydraSonic™ bottled water will go thru an unique ultra-purification process to remove all know contaminants, bacteria and viruses that could potentially be in bottled water. The results will create one the of purist bottled water known to be available once it goes into production. The total TDS will come out to be less than .001 ppm due to using this advanced purification process. The advanced water processing technology that Aqua Novo LLC has been testing shows that HydraSonic™ bottled water is pH balanced without adding any minerals back to the water to get the pH balanced. Keep in mind that these minerals are the same ones that clog pipes in your home plumbing. 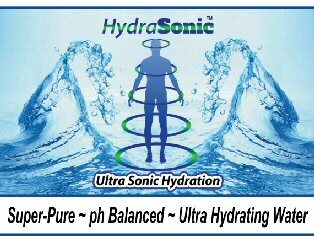 Being pH balanced without any minerals added is one of the unique properties that HydraSonic™ water possesses. HydraSonic™ bottled water is engineered to be non-corrosive. This means it will not cause rust inside a metal environment or cause any degradation of any environment in which the water is held in. Besides the benefits of human consumption, the potential of commercial and industrial applications are possible with this type of unique non-corrosive water!